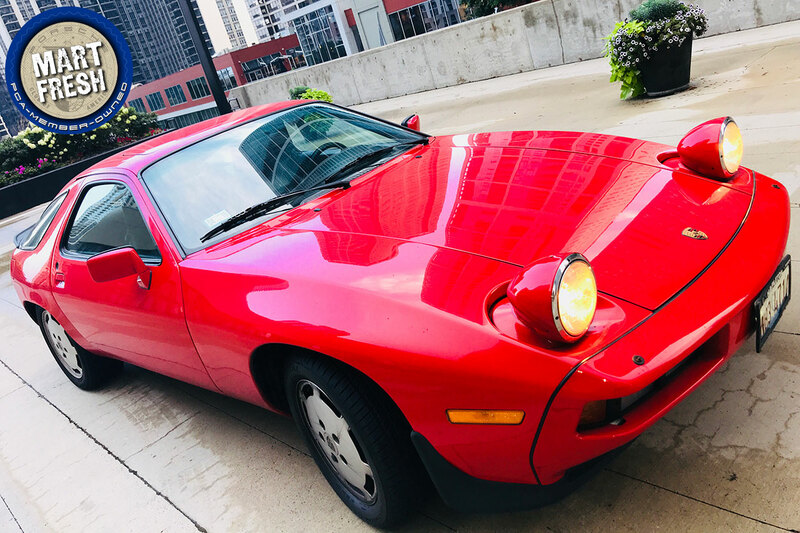 Mart Fresh: 928 or 911 for your springtime Porsche addition? A popular PCA member benefit is The Mart, the club’s classifieds section online and in each issue of Porsche Panorama. Mart Fresh is a bi-weekly column in which PCA media staff and guest contributors pick what they think are the "freshest" Porsches currently available, and then attempt to explain their reasoning. Only PCA members and Test Drive program participants have access to seller contact information. Always invest in a pre-purchase inspection for any Porsche you may consider, as seller descriptions and pictures don’t always tell the full story. Sure, this 996 doesn’t have lightweight bits that the current 991-generation Carrera T has nor was it factory spec’d as it stands now, but take a look at the options/upgrades this owner has done. It was originally optioned with M030 sport suspension and now has KW v3 coilovers, has upgraded GT3 front bumper and side skirts, 997 seats, Michelin Pilot Super Sport tires, GiroDisc front rotors, GT3 lower control arms, IPD intake plenum, and Fabspeed mufflers. There is definitely a T feel to it all, a performance-oriented 911 with rather subtle exterior hints and no huge wing atop the rear deck lid. Remove the rear seats, lower center dash, and insulation, then add a lightweight carpet kit, simpler door cards with nylon door pulls, swap in lightweight bucket seats, upgrade to a lightweight battery, and you’ve easily shed a hundred-plus pounds… “T” inspired.